UPDATE 10:22 PM PT -- Law enforcement sources tell us ... Sage's death does NOT appear to be a suicide. We're told there was NO suicide note found at the scene. Sources tell us officials DID find "numerous empty pill bottles" in the area where Sage's body was discovered. No word on what types of medication the pill bottles were for. We're told an autopsy is scheduled for some time in the next 48 hours. UPDATE 5:15 PM PT: Sylvester Stallone's rep, Michelle Bega, tells TMZ, "Sylvester Stallone is devastated and grief-stricken over the sudden loss of his son Sage Stallone. His compassion and thoughts are with Sage's mother, Sasha. Sage was a very talented and wonderful young man. His loss will be felt forever." 6:04 PM PT: Now here's a crazy picture -- the L.A. County Coroner van, flanked by a celebrity tour filled with snap-happy tourists. Welcome to Hollywood, folks. 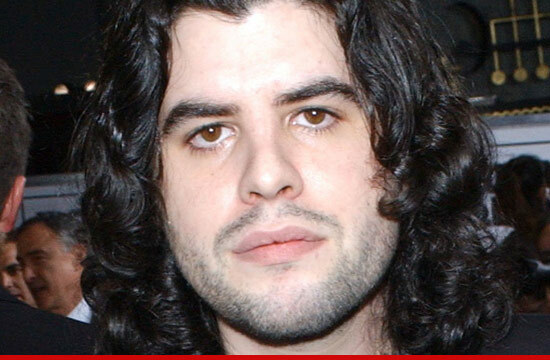 Sage Stallone -- Sylvester Stallone's son -- has died and sources tell us the cause was an overdose of pills. The details surrounding the death are still unclear .. but we're told he was found in his L.A. home by either a maid or his girlfriend. Paramedics were called to the home and pronounced him dead at the scene. Sources tell us authorities are trying to determine if the death was intentional or accidental. We're told Sylvester is a "wreck." 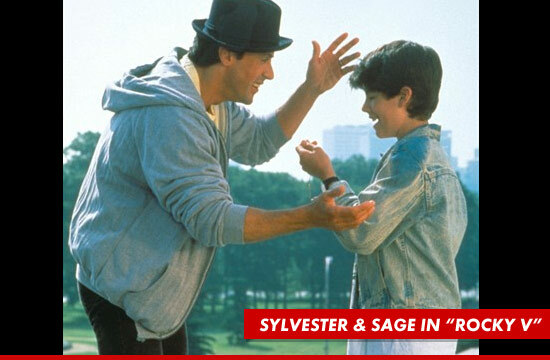 Sage famously made his film debut alongside his father in the 1990 movie "Rocky 5" -- playing the role of Rocky's son Robert Balboa. He went on to act and direct in several films ... including the 1996 film "Daylight." Sage's mother is Sasha Czack.